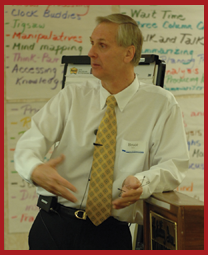 As professionals, most of us keep informed about options we can integrate into our instructional programs. We attend workshops, read journals, search the Internet, participate in webinars and listen to our colleagues. There is no shortage of possibilities. When the time comes for us to determine what we will do first with our newfound knowledge, we can be stymied by the volume of material or ideas, and unable to decide where to begin. The answer, in short, is “Start somewhere.” We should not be satisfied with complacency. One of the best pieces of advice I have heard about integrating new ideas into the teaching and learning process is do not start too big. The danger of planning grandiose lessons for students is that if things do not go well, we may feel defeated and resort to old practices. We need to select an idea or concept and try it out. Below you will see some suggestions that may help you decide how to take those important first steps. At a recent luncheon, a college professor talked about some of the practices she shared with the prospective teachers in her classes. One of her thoughts that resonated with me was an idea she called, “Every voice, every day.” Some students, especially introverts, might go through an entire day (or even multiple days) without ever being expected to speak in a classroom setting. The professor noted that she encouraged her students to use instructional approaches that required students to share their thoughts or reactions on a regular basis – in full class discussion, in a small group, or with a fellow student. When classrooms become more learner-centered, the possibility of achieving this goal can become much more achievable. Instituting such a practice should be made public to student so they can monitor their personal progress. “Every student, every day” can be a relatively uncomplicated but powerful place to start. What do you need to start doing, keep doing, or stop doing to take steps forward with this practice? Research has shown that awarding students stickers, bracelets, or fast food coupons for reading undermines reading motivation and makes students less likely to voluntarily choose reading as an activity in the future. Physical exercise has been linked to positive academic learning and can help students better focus their attention on literacy instruction. Dr. Duke’s insights provide valuable information that can help us determine which traditional practices to eliminate or modify. If these apply to you, what is your next step? Dr. Bruce Perry, psychiatrist and senior fellow at the ChildTrauma Academy in Houston has written, “….each year, nearly one-third of all children attending U. S. public schools will have significantly impaired cortical functioning due to abuse, neglect, domestic violence, poverty, and other adversities. Understanding the effects of trauma on a child’s brain and how these effects alter the ability to learn is essential to improving our public education system.” Other sources of complex trauma include physical, sexual or emotional neglect; being a witness to excessive violence; experiencing severe poverty, deprivation or homelessness; or being stigmatized by issues involving race, religion or sexual identity. Students who experience trauma may live in a state of fear that can lead to academic struggles, absenteeism and social challenges. A good place to start might be completing and discussing the Trauma-sensitive school checklist found at http://bit.ly/2rZ0QAk. Would that be useful for you? Explicitly teach strategies and provide scaffolding with the goal that students can be more independent learners. Where do you start in striking a balance between supporting the help-seeking process without becoming a crutch for students? Do you see a next step to take from the suggestions above that could improve class discussions? What was the most challenging part and what did I do to face the challenge? Based on how I faced the challenge, what did I learn that you could apply when I face your next challenge? We want our students to apply the construct of growth mindset to their learning. How might you use that same construct to decide how the application of a new way of thinking improved your practice? Don’t hesitate… make a decision and take action now before you forget! Oliver, Bruce. “Where Do I Go From Here?” Just for the ASKing! May 2017. 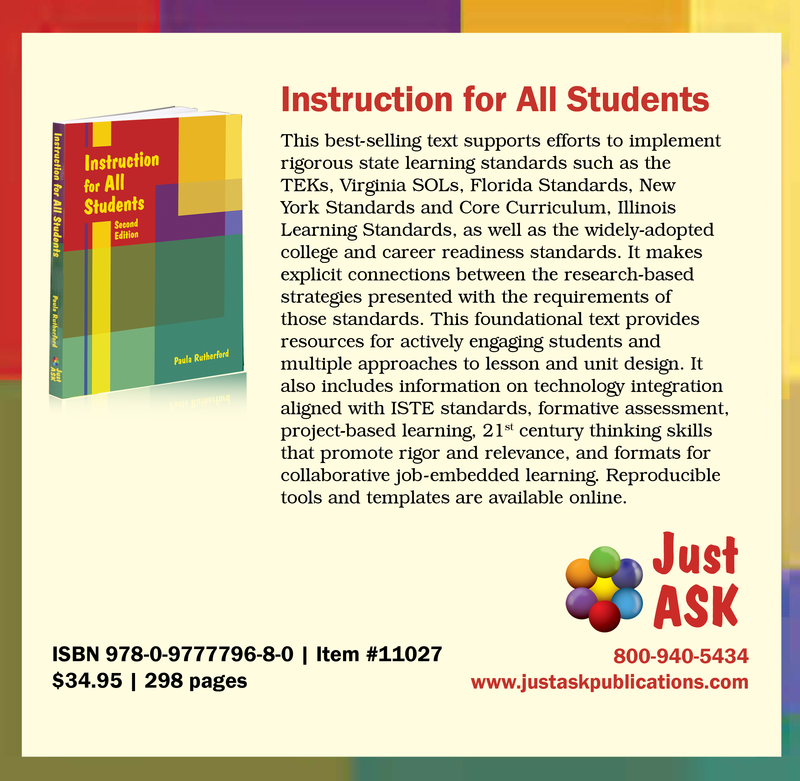 Reproduced with permission of Just ASK Publications & Professional Development. © 2017. All rights reserved. Available at www.justaskpublications.com.